Sharper styled than previous Phaeton. Available in standard and long wheelbase. 3.0 TDI offers good combination of performance and economy for such a big car. Still lacks the status of other luxury saloons. Soft in corners. Depreciation is big. 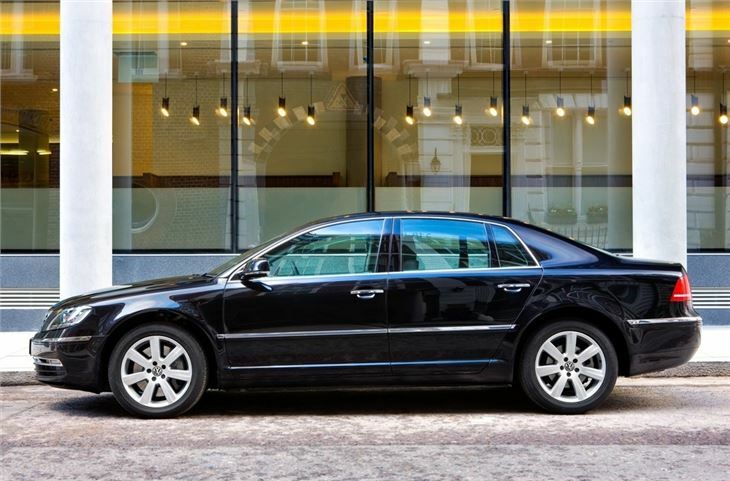 On paper, the Volkswagen Phaeton has always had everything it needs to beat the competition from Audi, BMW, Jaguar and Mercedes. Peerless build quality is a given from Volkswagen and this is a car that shares a good deal of its mechanical parts with the Bentley Continental GT, including its four-wheel drive system. 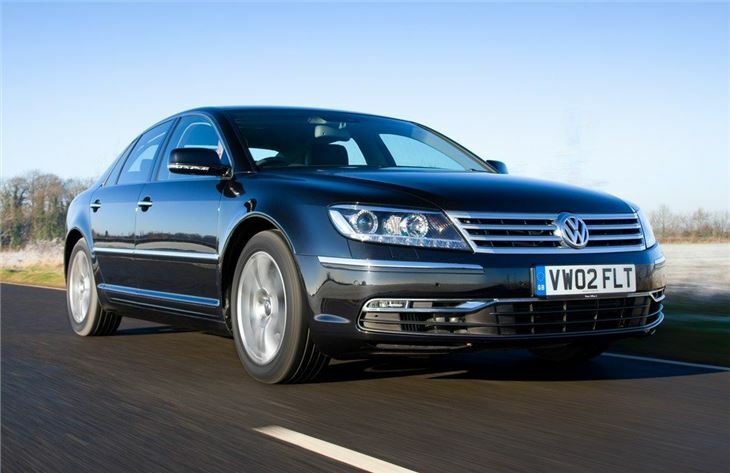 In the metal, however, the Phaeton does not enjoy the same appeal as its on-paper specification suggests. 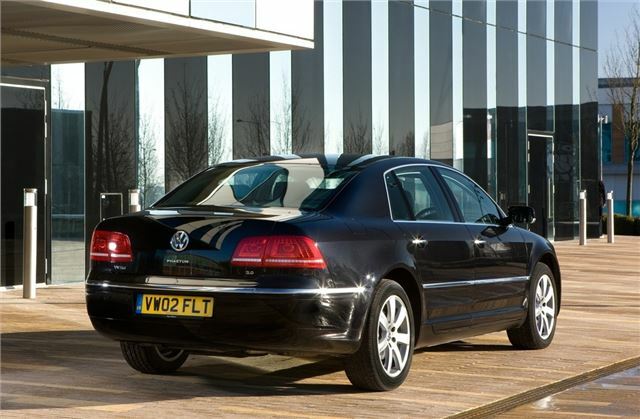 For starters, many buyers in this market are put off by the Volkswagen badge on the car’s prow. Like it or not, a premium badge counts for a lot in this class and Volkswagen’s symbol doesn’t have the same cache as its competitors. 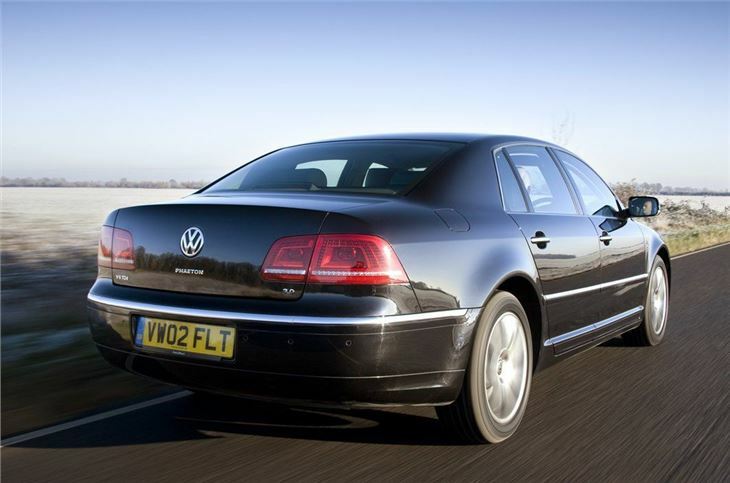 This matters much less in emerging car markets, such as China, which is why Volkswagen has continued with the Phaeton in its heavily revised form for the second generation model and why the car remains on the UK sales list. For the UK, every Phaeton comes equipped with a 3.0-litre V6 turbodiesel engine that offers 245PS and claimed fuel economy of 33.2mpg whether you choose the standard version or long wheelbase variant. 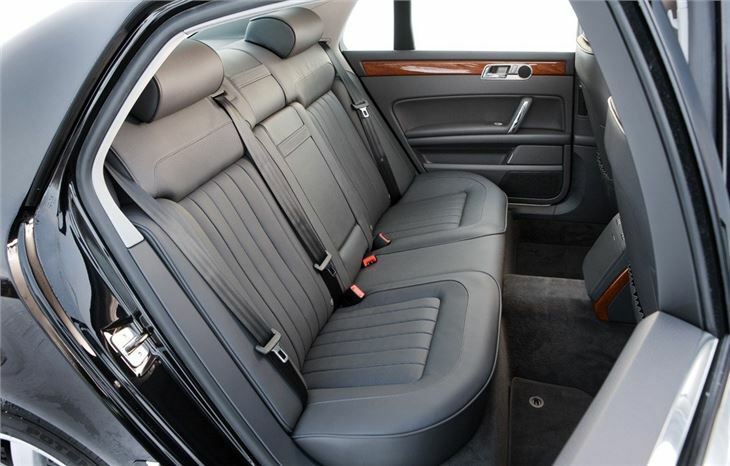 The latter makes the perfect limousine for captains of industry to stretch out in thanks to an extra 120mm of rear legroom. 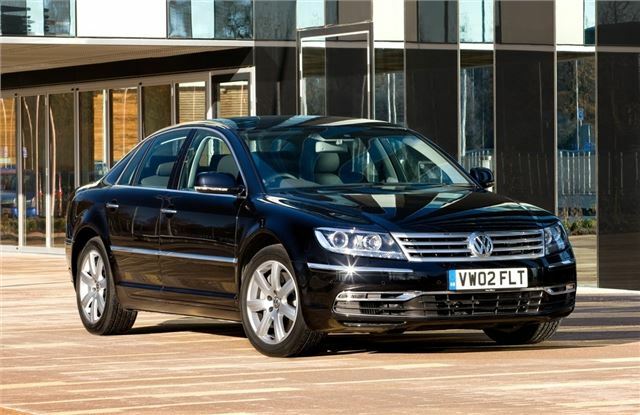 Thrifty chairman will also appreciate the significantly lower starting prices for the Phaeton models, which are more akin to a well kitted out executive saloon than a car from the luxury class. However, this is offset by hefty depreciation that you would not normally associate with Volkswagen products. There is also a 6.0-litre W12 engine with 450PS but that's only for the really committed. For those who ignore the steep cost of ownership of a Phaeton, they will find the car is ideal for covering huge distance in perfect comfort and soaking up cracked city streets. However, the Phaeton cannot combine this with the accuracy of handling and driver involvement found in a Mercedes S-Class or Jaguar XJ, which means the Phaeton ultimately feels merely competent rather than compelling. Perhaps the ultimate Volkswagen !